1. Greetings from Obscuro.cz! How are you? Hi, thank you, we are fine. Our new album will be released on 17th March and we are looking forward to it. The album is called Metanoia and will be unleashed by Prophecy Productions. 2. 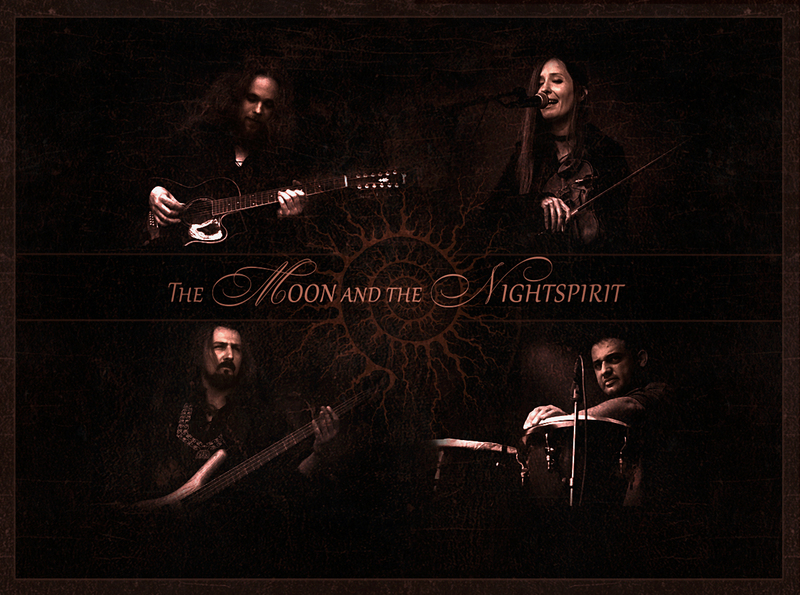 Can you tell us something about your band The Moon and the Nightspirit? Our band was founded in 2003 by Ágnes Tóth and Mihály Szabó. They are the most creative minds in the band, they write all the songs, Ágnes also creates the artwork for the albums and Mihály writes all the lyrics. They both play several instruments on the albums but at the live shows Ágnes sings and plays violin and Mihály sings and plays 12-string acoustic guitar. The drummer/percussionist Gábor Végh and myself (Gergely Cseh on bass guitar) joined the band a bit later and our main role is to play live shows. About the music we play: The Moon and the Nightspirit invites the listener into the moss-grown heart of the forest, into the emerald world of ageless, sylvan realms, weaving a web where threads of ancient mysticism combine with dreamy atmospheres, where World Music acquires a bewitching pagan aura. 3. How many CD’s do you have and what concerts did you play? We are about to release our 6th full length album in March. We played in a lot of countries inside Europe (18 countries including Russia) in several clubs and also at festivals like Wave-Gothic Treffen (Germany), Castlefest (The Netherlands), Festival Mediaval (Germany), Trolls and Legendes (Belgium), Ragnard Rock Festival and Cernunnos Pagan Festival (both in France) etc. We also played outside Europe, at Faeriecon festival in the USA and at Cheoyong World Music festival in South Korea. 4. Where do you gain inspiration? What are your lyrics about? The main source of inspiration is nature but there are also some other influences like various philosophers, writers and musicians. The lyrics are about a lot of things, for example moss grown forests, mystical places, the eternal cycle of life and death and such stuff. 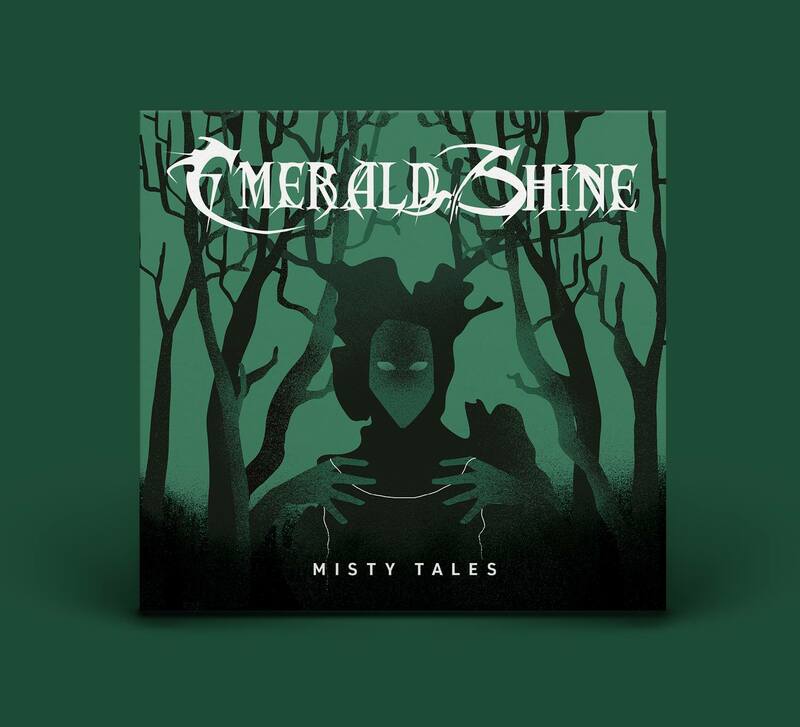 We mainly had English lyrics on the first album but since the second one – called Regő Rejtem (I Conjure the Magic) – we use only Hungarian lyrics but the booklets of the CD’s contain the English translations as well. 5. Do you have any life philosophy? “The golden age is not a historical era but a condition and, as such, it is present all the time; the only thing it depends on is whether there is someone to realize it..”. – Béla Hamvas. 6. Have you ever been to the Czech Republic? If so, what do you like the most about our country? 7. Would you like to play at any big festival (not just in the Czech Republic)? Sure. Personally, I would like to visit Brutal Assault but maybe our music is too soft to be played there. Also it would be nice to play at big festivals like Wacken in Germany, Hellfest in France, 70000 Tons of Metal in the USA etc. Although our music isn’t metal, we are fond of playing at metal festivals. 8. Is there many folk or pagan metal bands in Hungary? Is it easy to be famous with metal band here? There are some but not so many of them play folk or pagan metal. 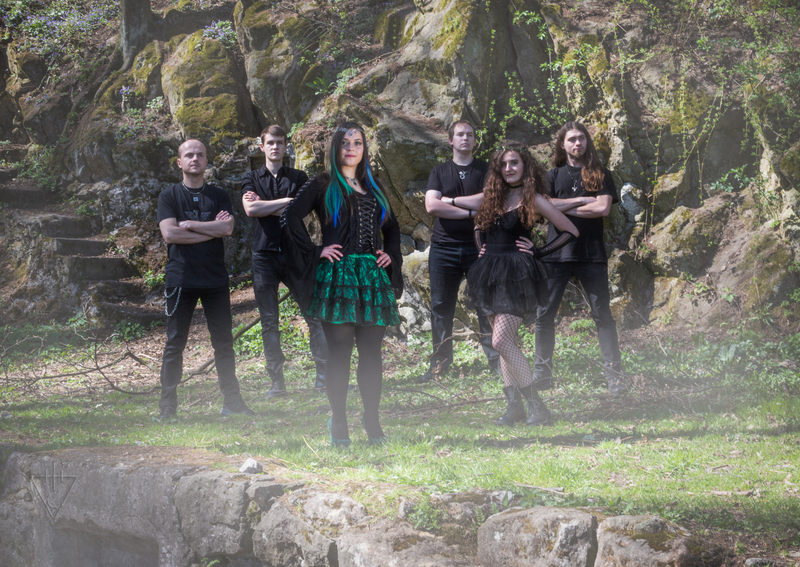 Probably the most famous folk metal band from our country is Dalriada. There is a strong fan base for these genres, especially when it is combined with viking themes but it is not easy to get famous. I don’t think it is easy anywhere. 9. Would you please say any words to the fans from the Czech Republic? Greetings to all the fans in the Czech Republic. We hope to see many of you at our show on 2nd of March in Prague! 10. Thank you for your time, good luck with the band and see you soon in Prague! Thanks a lot for the interview and see you soon! Zasněná duše, která holduje metalu, knihám, historii, šťourání se v soukromí různých kapel a různým akcím. 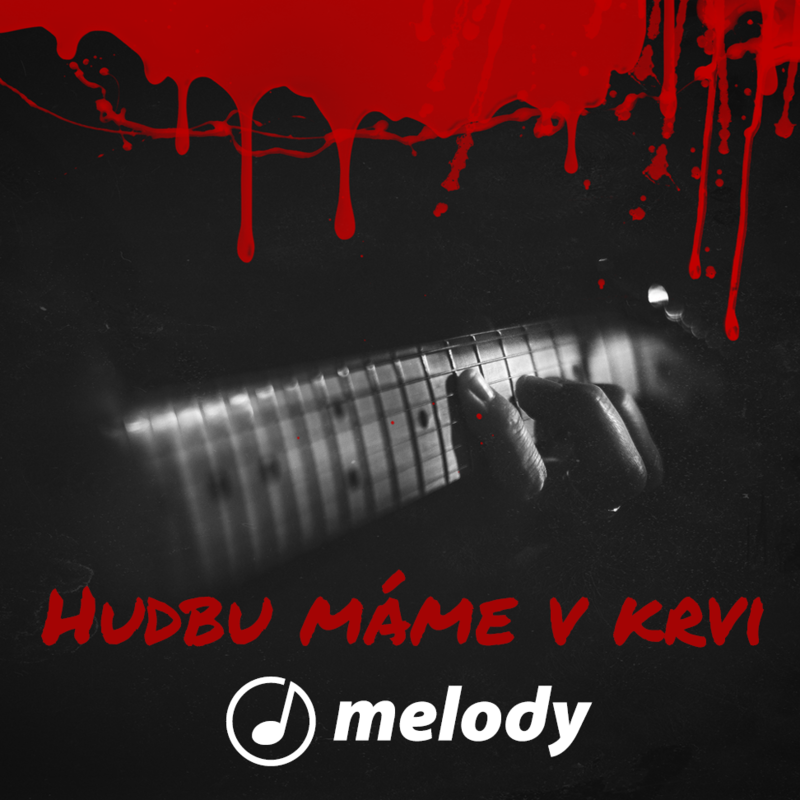 Mezi její oblíbené žánry patří symphonic, death, atmospheric black, pagan a folk metal.